These are already 100% recyclable – the trick is to actually recycle them. The fate of the world’s plastics. Australia can meet its 2030 greenhouse emissions target at zero net cost, according to our analysis of a range of options for the National Electricity Market. Our modelling shows that renewable energy can help hit Australia’s emissions reduction target of 26-28% below 2005 levels by 2030 effectively for free. This is because the cost of electricity from new-build wind and solar will be cheaper than replacing old fossil fuel generators with new ones. Currently, Australia is installing about 3 gigawatts (GW) per year of wind and solar photovoltaics (PV). This is fast enough to exceed 50% renewables in the electricity grid by 2030. It’s also fast enough to meet Australia’s entire carbon reduction target, as agreed at the 2015 Paris climate summit. Encouragingly, the rapidly declining cost of wind and solar PV electricity means that the net cost of meeting the Paris target is roughly zero. This is because electricity from new-build wind and PV will be cheaper than from new-build coal generators; cheaper than existing gas generators; and indeed cheaper than the average wholesale price in the entire National Electricity Market, which is currently A$70-100 per megawatt-hour. Electricity from new-build wind in Australia currently costs around A$60 per MWh, while PV power costs about A$70 per MWh. During the 2020s these prices are likely to fall still further – to below A$50 per MWh, judging by the lower-priced contracts being signed around the world, such as in Abu Dhabi, Mexico, India and Chile. Gas: premature retirement of most existing coal plant and replacement by new gas generators to meet the Paris target. Note that gas is uncompetitive at current prices, and this scenario would require a large increase in gas use, pushing up prices still further. Status quo: replacement of retiring coal generators with supercritical coal. Note that this scenario fails to meet the Paris target by a wide margin, despite having a similar cost to the renewables scenario described above, even though our modelling uses a low coal power station price. The chart below shows the all-in cost of electricity in the 2020s under each of the three scenarios, and for three different gas prices: lower, higher, or the same as the current A$8 per gigajoule. As you can see, electricity would cost roughly the same under the renewables scenario as it would under the status quo, regardless of what happens to gas prices. Levelised cost of electricity (A$ per MWh) for three scenarios and a range of gas prices. The cost of renewables includes both the cost of energy and the cost of balancing the grid to maintain reliability. This balancing act involves using energy storage, stronger interstate high-voltage power lines, and the cost of renewable energy “spillage” on windy, sunny days when the energy stores are full. The current cost of hourly balancing of the National Electricity Market (NEM) is low because the renewable energy fraction is small. It remains low (less than A$7 per MWh) until the renewable energy fraction rises above three-quarters. The renewable energy fraction in 2020 will be about one-quarter, which leaves plenty of room for growth before balancing costs become significant. Cost of hourly balancing of the NEM (A$ per MWh) as a function of renewable energy fraction. The proposed Snowy 2.0 pumped hydro project would have a power generation capacity of 2GW and energy storage of 350GWh. This could provide half of the new storage capacity required to balance the NEM up to a renewable energy fraction of two-thirds. The new storage needed over and above Snowy 2.0 is 2GW of power with 12GWh of storage (enough to provide six hours of demand). This could come from a mix of pumped hydro, batteries and demand management. Most of Australia’s fossil fuel generators will reach the end of their technical lifetimes within 20 years. In our “renewables” scenario detailed above, five coal-fired power stations would be retired early, by an average of five years. In contrast, meeting the Paris targets by substituting gas for coal requires 10 coal stations to close early, by an average of 11 years. Under the renewables scenario, the grid will still be highly reliable. That’s because it will have a diverse mix of generators: PV (26GW), wind (24GW), coal (9GW), gas (5GW), pumped hydro storage (5GW) and existing hydro and bioenergy (8GW). Many of these assets can be used in ways that help to deliver other services that are vital for grid stability, such as spinning reserve and voltage management. 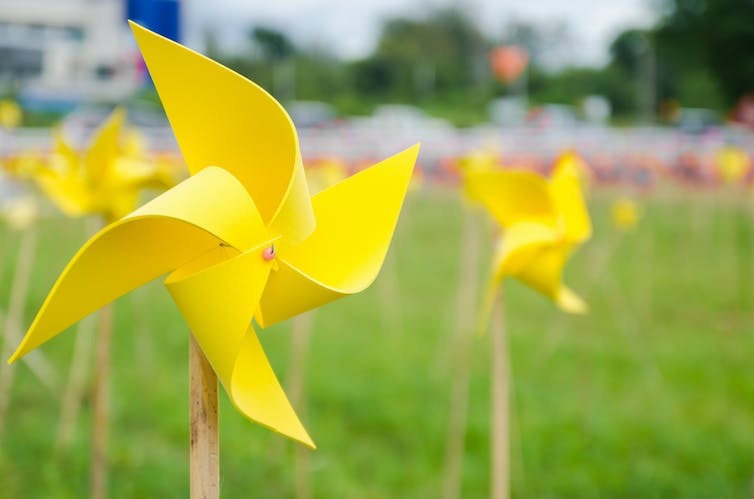 Read more: Will the National Energy Guarantee hit pause on renewables? Because a renewable electricity system comprises thousands of small generators spread over a million square kilometres, sudden shocks to the electricity system from generator failure, such as occur regularly with ageing large coal generators, are unlikely. Neither does cloudy or calm weather cause shocks, because weather is predictable and a given weather system can take several days to move over the Australian continent. Strengthened interstate interconnections (part of the cost of balancing) reduce the impact of transmission failure, which was the prime cause of the 2016 South Australian blackout. Since 2015, Australia has tripled the annual deployment rate of new wind and PV generation capacity. Continuing at this rate until 2030 will let us meet our entire Paris carbon target in the electricity sector, all while replacing retiring coal generators, maintaining high grid stability, and stabilising electricity prices. It seems that the one certainty about any clean energy target set by the present government is that it will not drive sufficient progress towards a clean, affordable, reliable energy future. At best, it will provide a safety net to ensure that some cleanish energy supply capacity is built. Future federal governments will have to expand or complement any target set by this government, which is compromised by its need to pander to its rump. So a cleanish energy target will not provide investment certainty for a carbon-emitting power station unless extraordinary guarantees are provided. These would inevitably be challenged in parliament and in the courts. Read more: Turnbull is pursuing ‘energy certainty’ but what does that actually mean? Even then, the unstoppable evolution of our energy system would leave an inflexible baseload power station without a market for much of the electricity it could generate. Instead, we must rely on a cluster of other strategies to do the heavy lifting of driving our energy market forward. It’s clear that consumers large and small are increasingly investing “behind the meter” in renewable energy technology, smart management systems, energy efficiency and energy storage. In so doing, they are buying insurance against future uncertainty, capturing financial benefits, and reducing their climate impacts. They are being helped by a wide range of emerging businesses and new business models, and existing energy businesses that want to survive as the energy revolution rolls on. The Australian Energy Market Operator (AEMO) is providing critically important information on what’s needed to deliver energy objectives. The recently established Energy Security Board will work to make sure that what’s needed is done – in one way or another. Other recommendations from the Finkel Review are also helping to stabilise the electricity situation. The recent AEMO/ARENA demand response project and various state-level energy efficiency retailer obligation schemes and renewable energy targets are examples of how important energy solutions can be driven outside the formal National Energy Market. They can bypass the snail-paced progress of reforming the NEM. State governments are setting their own renewable energy targets, based on the successful ACT government “contracts for difference” approach, discussed below. Victoria has even employed the architect of the ACT scheme, Simon Corbell. Local governments, groups of businesses and communities are developing consortia to invest in clean energy solutions using similar models. Some see state-level actions as undermining the national approach and increasing uncertainty. I see them as examples of our multi-layered democratic system at work. Failure at one level provokes action at another. State-level actions also reflect increasing energy diversity, and the increasing focus on distributed energy solutions. States recognise that they carry responsibilities for energy: indeed, the federal government often tries to blame states for energy failures. There is increasing action at the network, retail and behind-the-meter levels, driven by business and communities. While national coordination is often desirable, mechanisms other than national government leadership can work to complement national action, to the extent it occurs. A key tool will be a shift away from the current RET model to the broader use of variations of the ACT’s contract for difference approach. The present RET model means that project developers depend on both the wholesale electricity price and the price of Large Generation Certificates (LGCs) for revenue. These are increasingly volatile and, over the long term, uncertain. In the past we have seen political interference and low RET targets drive “boom and bust” outcomes. So, under the present RET model, any project developer faces significant risk, which makes financing more difficult and costly. The ACT contract for difference approach applies a “market” approach by using a reverse auction, in which rival bidders compete to offer the desired service at lowest cost. It then locks in a stable price for the winners over an agreed period of time. The approach reduces risk for the project developer, which cuts financing costs. It shifts cost risk (and opportunity) to whoever commits to buy the electricity or other service. The downside risk is fairly small when compared with the insurance of a long-term contract and the opportunity to capture savings if wholesale electricity prices increase. The ACT government has benefited from this scheme as wholesale prices have risen. It also includes other requirements such as the creation of local jobs. This approach can be applied by agents other than governments, such as the consortium set up by the City of Melbourne. For business and public sector consumers, the prospect of reasonably stable energy prices, with scope to benefit if wholesale prices rise and limited downside risk, is attractive in a time of uncertainty. For project developers, a stable long-term revenue stream improves project viability. The approach can also potentially be applied to other aspects of energy service provision, such as demand response, grid stabilisation or energy efficiency. It can also be combined with the traditional “power purchase agreement” model, where the buyer of the energy guarantees a fixed price but the project developer carries the risk and opportunity of market price variations. It can also apply to part of a project’s output, to underpin it. While sorting out wholesale markets is important, we need to remember that this is just part of the energy bill. Energy waste, network operations, retailing and pricing structures such as high fixed charges must also be addressed. Some useful steps are being taken, but much more work is needed. Few topics have attracted as much political attention in Australia over the past decade as emissions reduction policy. Amid mounting concern over electricity price increases across Australia and coinciding with blackouts in South Australia and near-misses in New South Wales, the Australian government asked Chief Scientist Alan Finkel to provide a blueprint for reform of the electricity industry, in a context in which emissions reduction policy was an underlying drumbeat. In a new poll of the ESA Monash Forum of leading economists, a majority said that Finkel’s suggested Clean Energy Target was not necessarily a better option than previously suggested policies such as an emissions trading scheme. But many added that doing nothing would be worse still. Read more: The Finkel Review: finally, a sensible and solid footing for the electricity sector. The Finkel Review’s terms of reference explicitly precluded it from advising on economy-wide emissions reduction policy, and implicitly required it also to reject emission reduction policies such as an emissions tax or cap and trade scheme. One of the Finkel Review’s major recommendations was a Clean Energy Target (CET). This is effectively an extension of the existing Renewable Energy Target to cover power generation which has a greenhouse gas emissions intensity below a defined hurdle. Such generation can sell certificates which electricity retailers (and directly connected large customers) will be required to buy. The ESA Monash Forum panel was asked to consider whether this approach was “preferable” to an emission tax or cap and trade scheme. As usual, responses could range from strong disagreement to strong agreement with an option to neither agree nor disagree. Twenty-five members of the 53-member panel voted, and most added commentary to their response – you can see a summary of their verdicts below, and their detailed comments at the end of this article. A headline result from the survey is that a large majority of the panel does not think the CET is preferable to a tax or cap and trade scheme. None strongly agreed that the CET was preferable, whereas 16 either disagreed or strongly disagreed, and four agreed. Of the four who agreed, three provided commentary to their response. Stephen King preferred the CET on the grounds of its ease of implementation but otherwise would have preferred a tax or cap and trade scheme. Michael Knox agreed on the basis that the CET was preferable to the existing Renewable Energy Target. Harry Bloch unconditionally endorsed the CET. Of the five who neither agreed nor disagreed, three commented and two of them (Paul Frijters and John Quiggin) said there was not much to distinguish a CET from a tax or cap and trade scheme. Warwick McKibbin, who disagreed with the proposition, nonetheless also suggested that the CET, tax and cap and trade scheme were comparably effective if applied only to the electricity sector. However, closer examination of the comments suggests much greater sympathy with Finkel’s CET recommendation than the bare numbers indicate. Even for those who strongly disagreed that the CET was preferable, none suggested that proceeding with a CET would be worse than doing nothing. But eight (Stephen King, Harry Bloch, Alison Booth, Saul Eslake, Julie Toth, Flavio Menezes, Margaret Nowak and John Quiggin) commented that proceeding with the CET would be better than doing nothing. Interestingly none of these eight explained why they thought doing something was better than doing nothing. Does it reflect a desire for greater investment certainty or a conviction that reducing emissions from electricity production in Australia is important? Seven respondents (Stephen King, Alison Booth, Saul Eslake, Julie Toth, Gigi Foster, Lin Crase and John Quiggin) alluded to the political constraints affecting the choice, of which several drew attention to Finkel’s own observations. None of these seven suggested that the political constraint invalidated proceeding with the CET. Of the 19 economists who provided comments on their response, 16 thought a tax or cap and trade scheme better than a CET. Numbers were equally drawn (three each) as to whether a tax or cap and trade was better than the other, with the remaining 10 invariant between a tax or cap and trade. My overall impression is that in judging Dr Finkel’s CET recommendation, most of the panel might agree with the proposition that the “the perfect is the enemy of the roughly acceptable”. I surmise that in a decade past, many members of the panel would have held out for greater perfection, but now they think prevarication is more cost than benefit, and it is better to move on and make the best of the cards that have been dealt. In emissions reduction policy the mainstream advice from Australia’s economists has not been persuasive. But this is hardly unique to Australia, as the pervasiveness of regulatory approaches in other countries shows. Perhaps an unavoidably compromised policy that is nonetheless well executed may be better than a brilliant policy that is poorly executed. Even if they could not have been more persuasive in design, Australia’s economists should still have much that is useful to contribute in execution. Hopefully more can be drawn into it. This is an edited version of the summary of the report’s findings originally published by the ESA Monash Forum. 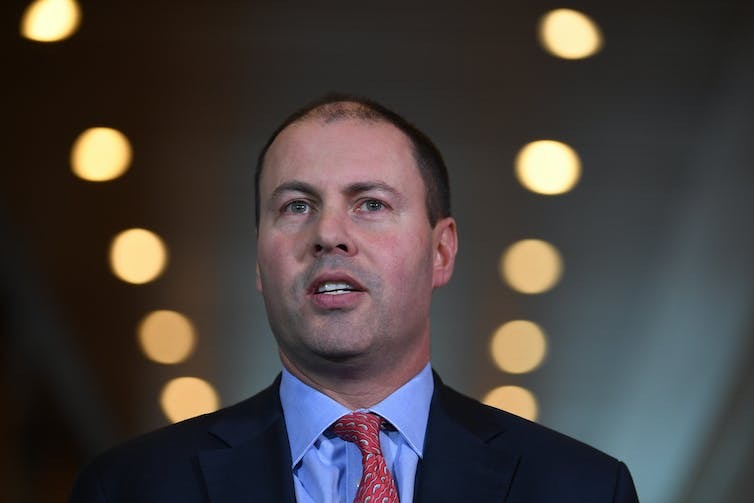 Josh Frydenberg’s task of garnering broad support for the Finkel scheme is proving to be more difficult than expected. A sizeable slice of his backbench has sent Malcolm Turnbull a forceful message that his road to implementing the clean energy target (CET) proposed by the Finkel inquiry will be rocky even within his own ranks. After Energy Minister Josh Frydenberg gave an extensive briefing on the Finkel plan to the Coalition partyroom on Tuesday morning, MPs later reconvened for nearly three hours of questions and debate. About one-third of the 30-32 who spoke expressed misgivings, according to Coalition sources. There was broad support from another third. The rest didn’t express a firm view, asking questions and seeking more information. The report from the panel led by Chief Scientist Alan Finkel says a CET “will encourage new low emissions generation [below a threshold level of carbon dioxide per megawatt hour] into the market in a technology neutral fashion”. A key issue will be where the government, which is disposed to adopt the Finkel plan, sets the threshold. It is clear that to accommodate the Nationals and a section of the Liberal Party it will have to be at a level that allows for the inclusion of “clean” coal. The meeting was to gauge backbench views ahead of cabinet considering the report. Ministers, apart from the minister with carriage of the issue, don’t speak on these occasions. Tony Abbott, who had publicly flagged his belief that the Finkel scheme represents a tax on coal, spoke strongly at the meeting. The degree of pushback against a CET was stronger than had been anticipated, given the intense lobbying of the backbench that Frydenberg had done ahead of the meeting. A common theme from backbenchers was that it was vital to be able to be confident the Finkel plan would make energy more affordable. A number of MPs, especially from outer suburban and regional areas, said affordability was what mattered most to their electorates. Concern was expressed about the place of coal, and there was criticism of Finkel’s projection of an effective renewable energy target of 42% by 2030. Some backbenchers believed it would take the Coalition too close to Labor, which has a 50% target. There were also queries about the status of the Paris targets. Finkel met with the government’s backbench environment committee on Tuesday to explain his plan and answer questions. Frydenberg conceded that backbenchers “are concerned about the future of coal”. But he flatly rejected the Abbott suggestion that the Finkel plan amounted to a tax on coal, saying it was “absolutely not”. The CET had “similarities to what John Howard put forward back in 2007”, Frydenberg said – a point he made in his briefing to the party meeting. Deputy Prime Minister Barnaby Joyce also slapped down Abbott’s proposition that the CET amounted to a tax on coal, telling Sky that “Mr Abbott’s entitled to his opinion” but “there is no penalty placed on coal.